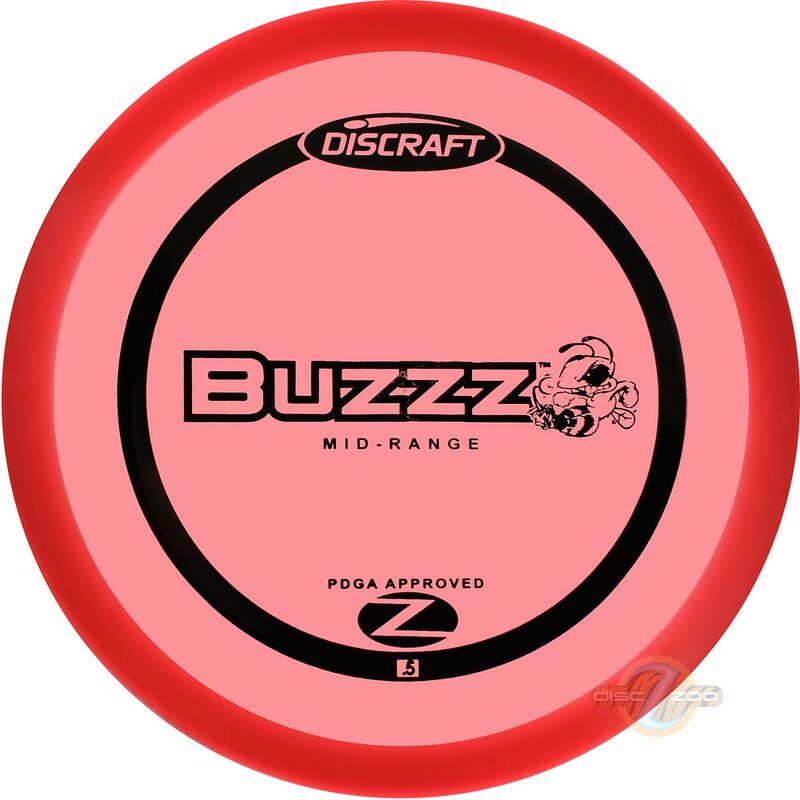 One of the most popular discs of all time, in durable Z plastic, the Buzzz is a reliable go-to disc. 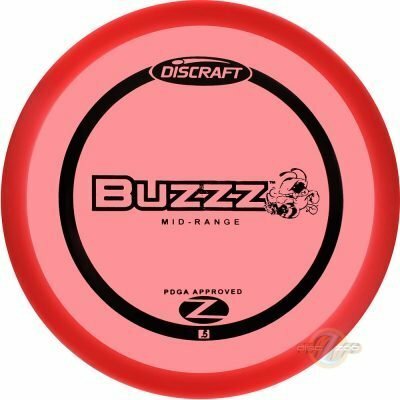 The Buzzz is a straight flying workhorse that you’ll reach for again and again, and has quickly become one of the most popular discs of all time. Throw it hard and Buzzz will hold any line you put it on. A Few Words from the Pros About the Buzzz..!!! There is NOT a better midrange disc on the market. Money… plain and simple. It’s a thing of beauty. Unbelievable disc. Will hold any line you put it on. I’m not going to the course if I don’t have my Buzzz. The most versatile disc in my bag. One of the greatest discs ever made! Absolutely the best midrange on the market. My go-to disc for most shots between 175-350 feet. No disc golfer is complete without one. A must in the bag for me. Will go straight or hyzer or anhyzer right out of the box. A nicely beat-in Buzzz is the perfect straight to slightly understable disc. The greatest midrange that a person can own. It is straight, long and very accurate. Will hold any line I put it on. My favorite disc of all time. The best disc ever made! It goes so straight it almost hurts. Everyone I know loves the Buzzz. Behaves just like the day I put it into my bag. The best midrange on the market. Flies perfectly from day one. The straightest flight I have ever seen. The disc I use the most. The best golf disc ever made. A great choice for accuracy and control in most all situations.